A Classic Peruvian Street Food. Peruvian Corn is different that what we are use to it in the US, thought I have learn to like and appreciate the flavor of the traditional and favorite of many friends, "Corn on a Cobb". Like the picture shows you, each grain of a Peruvian corn is rather large, there is more of a bite to it and the flavor is less sweet and more savory, but it takes either salt or sugar really well on preparations like cakes and and savory pies. To enjoy a Peruvian Corn there is nothing better then eat it with a piece of Queso Fresco (Fresh Cheese), and even better to eat it from one of those Streets Vendors, that since early in the morning go out and cook their corn in the middle of the street, you will find them on busy streets like the Mercado (Street Market) and when the traffic is on it's peak, is offer to you straight to the window of your car, to enjoy literary on the Go. 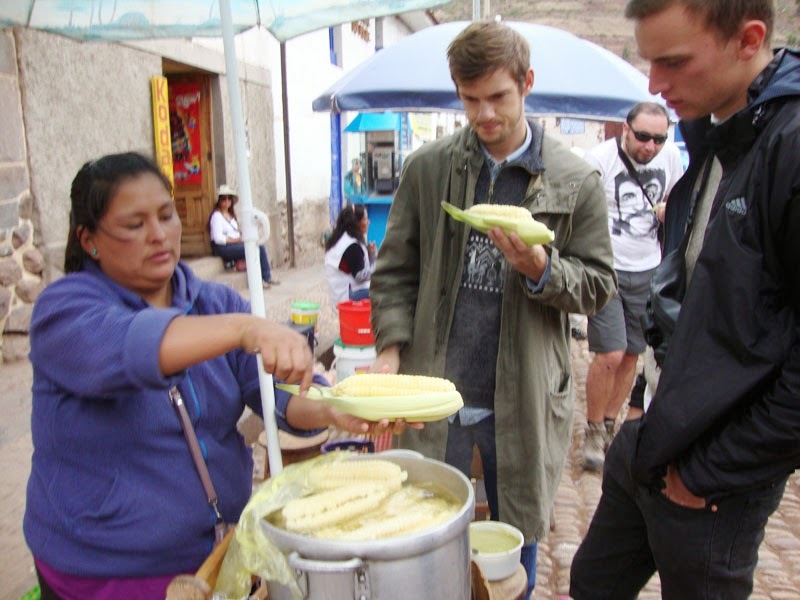 Thou Choclo con Queso on the go is cook very humble with no more than some sugar, some salt, some lime juice and a few grains of anise in the cooking water, here I will leave you with a different version of how to eat your Peruvian Corn while at home. 1. Place corn in a pot and cover with cold water, add a tbsp sugar, lime juice and a few grains of anise seeds. 2. Cook until grains are tender. 4. 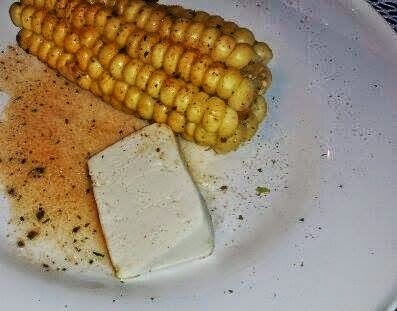 When Corn is done, place on a plate and drizzle the butter mixture on it, and also some lime if you like the acidic flavor. 5. Serve with a piece of fresh cheese. 6. 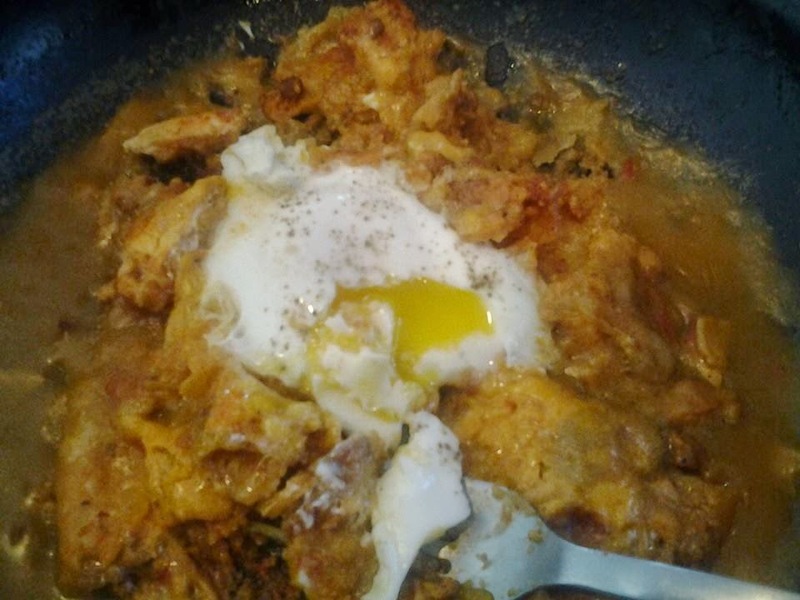 If you want a little kick, add a little of cayenne or crushed pepper in the butter mixture. Great Recipe! We can try it at home. I will give it a try. Thanks!